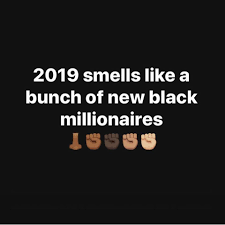 We’ve all seen that viral meme with the quote “2019 smells like a bunch of new black millionaires”. Crayon Case Cosmetics has gone from being a starter company to a million dollar company in about 2 years. All from hard work and dedication Supa Cent was able to become a self made millionaire. Supa Cent joins the likes of Madame CJ Walker, and is on the verge of joining women like Beyonce, Oprah Winfrey, and others. My hat goes off to all hard working women of color. I hope this trend continues through 2019.